Described as “choir without the boring bits” Some Voices is a non-audition choir for anyone to join so they can belt out a tune with abandon, forget their daily woes and meet life long-friends. Bring joy into your days and share experiences as part of an incredible musical extravaganza. Click on each image below to take you to the next stage. If you're new to singing in a choir or you haven't been for a while, do not fear. Come and join a bunch of friendly faces to blast out some tunes together. Shower singing voices sing alongside professional stage voices. The thing in common? The joy of singing together. + No need to prepare anything for your free taster. + Just turn up and sing with everyone in your first free rehearsal. Some Voices welcomes everyone and anyone to join out weekly get togethers. + Our high energy rehearsals bring all kinds of voices together. With no experience required and no voice too powerful or humble, every voice is welcome. + We know that music unites people. We believe singing together creates a sound and a feeling that can resonate long after a rehearsal or show has finished. + Over 1000 voices are already belting out bangers in our 12 choirs across London. Find your local choir and join us. 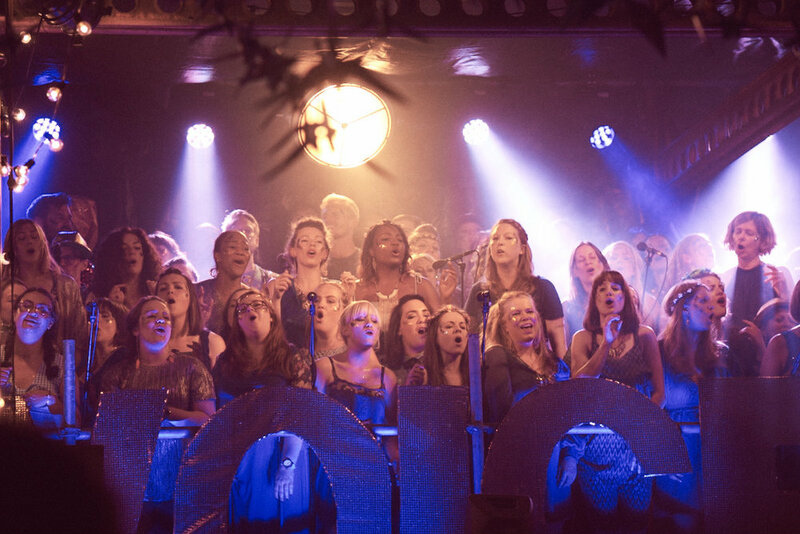 Waterloo Wednesday offers people the opportunity to take part in a smaller choir and perform in more relaxed and intimate gigs. + We follow the same term structure as the larger choir but have a song list of of our own. + There are 10 weekly rehearsals, 1 longer 'intensive' rehearsal (to get gig ready), and an end of term public performance. + So if you don’t fancy singing with hundreds of voices, this is a brilliant way to get involved. There are 10 weekly rehearsals, some pre-show rehearsals and an end of term performance*. Across one term you’ll rehearse up to 10 songs. If you want to practice at home you’ll have access to an online membership pack containing everything you need. and makes every choir rehearsal fun and informal. We treat our rehearsals as a social gathering with singing. Everyone is welcome - whether you've been singing for years or fancy trying something new, it’s a great place to meet new people. We treat our rehearsals as a social gathering with singing. We are a sociable bunch. Post rehearsal drinks are always on the cards, but we also organise Some Voices Socials to come along to. At the end of the 10 week term we produce professional standard performances for you to take part in. Past venues include KOKO, The Southbank Centre, Oval Space, Printworks, the Rivoli Ballroom and the Troxy. We also take part in a whole range of gigs outside of our own productions (BBC, Timeout50, Festival of Voice, The Big Feasitval, Brixton Disco Festival) and where possible, we love to try and give everyone an opportunity to get involved. Curtis is Mika’s Musical Director, and has recorded and toured most recently with Paolo Nutini, Natasha Bedingfield & Rae Morris. Laura has composed music for TV, Theatre and Live Soundscape Installation working with organisations like BBC, The Southbank Centre, The 02 and many more. members alike when leading a Some Voices performance. Laura’s original, cool and subtly astounding vocal arrangements are part of what makes Some Voices as special as it is. We' have launched a series of workshops for both current members and non-members to take part in on a pay as you sing basis.